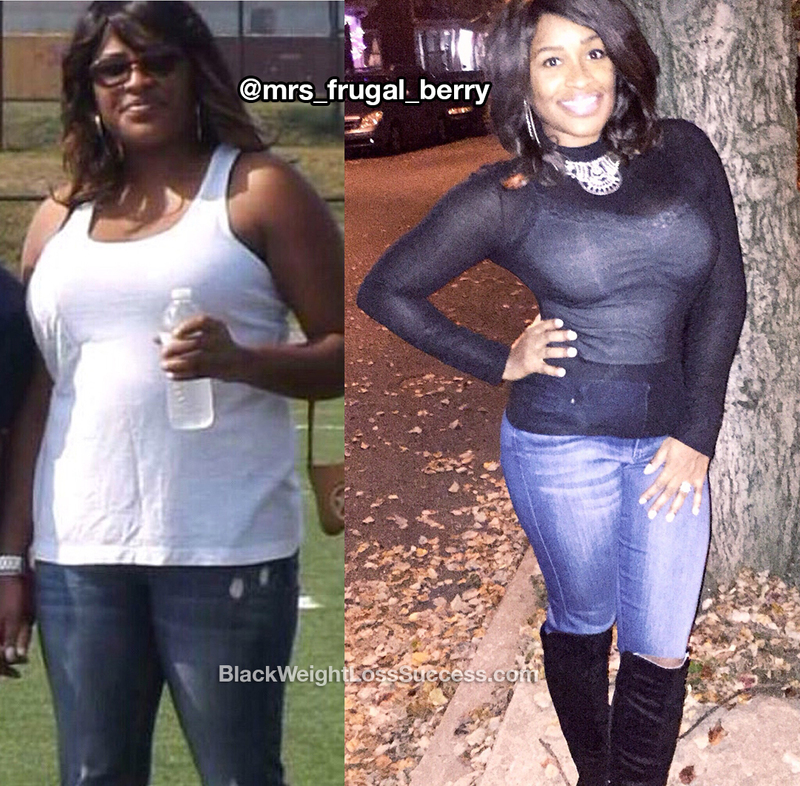 Transformation of the Day: Melynda lost 45 pounds. She noticed that her metabolism really slowed down after she turned 30. She was motivated by reflecting on how obesity and illness impacted the life of her late, beloved grandmother. This mom and new grandmother took action and has worked to keep the weight off for 5 years. Check out her story. My name is Melynda Berry. I’m a 38 year old wife, Mother and new Grandmother. I’d been lucky enough to be “thin” my whole life. Then, I turned 30 yrs old and my metabolism stopped! In 6 months, I gained over 40 pounds. What motivated me to become healthy is remembering the loss of my grandmother. My grandmother was the matriarch of our family; we lost her way too soon. She had diabetes, high blood pressure and cholesterol and heart disease. She was also morbidly obese. Knowing what I know now, her weight was the main cause of her demise. I’m now a grandmother. I have to do better. I want to honor my grandmother’s legacy by putting my health first and passing health and wellness on to my grandchildren. On my 32nd birthday, I weighed 230 pounds at 5’8″! I cried that entire week and couldn’t fit any of my clothes. I didn’t recognize my own reflection in the mirror. I’m not one for pity parties, but threw myself one that day. I also broke down bought a 38 DDD bra. Eventually, I dried my tears and decided to lose weight and get healthy. I had no idea exactly what that meant, so I began to research. After researching, I realized my eating habits had to change. I basically had to change my entire way of life. Growing up eating and loving soul food, I had no idea how unhealthy it is. As a black woman, that was the norm! The first and hardest thing I was forced to do was to bake my food instead of frying. I began more fruit and vegetables, more lean proteins and less processed foods. I also shop the perimeter of the grocery store. I’ve learned that carbs/sugar are horrible for the body. I carb cycle (low/high carb days), eat lean protein and stay hydrated. I drink one gallon of water everyday. HYDRATION is key! No full meals after 7 pm is the rule for me. Finding balance is key. I enjoy the 80/20 rule. 80% of the time I eat super clean; 20% I do enjoy junk food (i.e. carbs/sugar). For exercise, I did cardio, all day, everyday. I worked out at least 5 times a week. I’m hyper and I would do cardio like a mad woman. Lost weight, but then began to plateau. Then, researched the benefits of weight training and ultimately learned that weight training is better for your body than cardio. Now, I weight train 5 days a week, training different muscle groups everyday. My core is my problem area, so I train my core 4 times a week. I also do occasional HIIT workouts (high intensity interval training) for my cardio fix. Self-care is a MUST and the biggest lesson I learned. As women, we tend to place our personal needs last on the to-do list. Mental and physical health are top priority of mine. If I am not functioning at my best my family suffers too. Work-life balance is very challenging for women. I’ve learned that it’s Ok to say NO. Advice: Hydration and consistent nutrition are important to your success. You can not out work bad eating habits. I tried, it’s impossible! Self-love is crucial to living well. No matter what size you are – be positive, know you are worthy of good health and happiness. The number on the scale can be misleading. EAT CLEAN! TRAIN MEAN! And SMILE! I’ve been on this journey for 5 long years. It hasn’t been perfect, but everyday is a new opportunity for growth. I now weigh 185 pounds on a good day. My total weight lost is over 40 lbs. I’m determined to be the BEST version of myself. 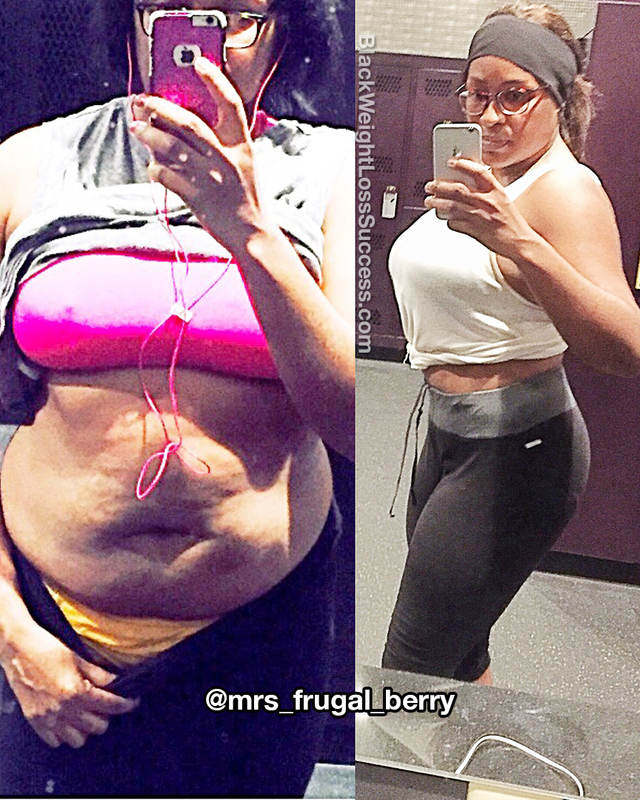 I want inspire Black woman to get healthy. You look and ARE absolutely amazing, and an inspiration to me. Thank you for sharing your story. God Bless you, Sister. Thank you! With God, all things are possible! !